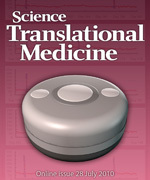 The glucose sensor is featured on the cover of the July 28, 2010 issue of the journal Science Translational Medicine. The paper, published in the July 28, 2010 issue of the journal Science Translational Medicine, describes the use of this glucose-sensing device as an implant in animals for over one year. After human clinical trials and FDA approval, the device may be useful to people with diabetes as an alternative to finger sticking, and to short-term needle-like glucose sensors that have to be replaced every three to seven days. The long-term glucose sensor could be used by people with either Type 1 or Type 2 diabetes. People with Type 1 diabetes do not make enough insulin of their own. The long-term glucose sensors could be used to adjust the insulin dose and timing of the injection, and reduce the risk of taking too much insulin and becoming hypoglycemic, which can be immediately life threatening. Hypoglycemia happens when you get too much insulin for the available glucose, or when insulin absorbs too rapidly. People with Type 2 diabetes could use the long-term glucose sensors to help them adjust their diet and exercise schedule. Also, some people with Type 2 diabetes take insulin and have the same hypoglycemia worries as people with Type 1 diabetes. The ultimate goal is to limit the dangerous ups and downs of blood glucose levels, known as “glucose excursions.” It is these prolonged glucose excursions that cause the long term problems associated with diabetes. How Does the Sensor Work and What is the Scientific Advance? 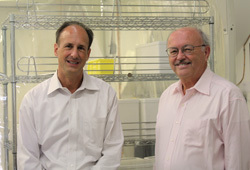 GlySens Incorporated President and CEO Joseph Lucisano (left) and UC San Diego bioengineering professor David Gough (right) are authors on the glucose sensor study in 28 July 2010 issue of Science Translational Medicine. Lucisano earned his Ph.D. in bioengineering at UC San Diego. Photo taken at a laboratory at GlySens Incorporated in San Diego, California. “The most important point of this paper is the fact our glucose sensor remains insensitive to tissue encapsulation for over 500 days. That’s a big step from a scientific point of view, and it’s due to the sensor’s unique oxygen detection scheme,” said Gough, the first author on the Science Translational Medicine paper. Glucose and oxygen from the surrounding tissue diffuse to the sensor, where the enzyme glucose oxidase carries out a chemical reaction in which oxygen is consumed in proportion to how much glucose is present. The remaining oxygen is measured and compared to the baseline oxygen recorded by a nearly identical oxygen reference sensor. The reduced oxygen signal compared to background oxygen signal reflects the glucose concentration. The effects of exercise and changes in local blood flow to the tissues are also largely subtracted out by the differential oxygen sensing system, which includes the pair of sensors side by side in the same device. The implant used in the pig study is about 1.5 inches in diameter, and 5/8 of an inch thick, and could be implanted in a simple outpatient procedure. The implanted sensors used in the animal trials published in Science Translational Medicine send the glucose information to a data recorder the size of a cell phone. “The data receiver could be made much more versatile. 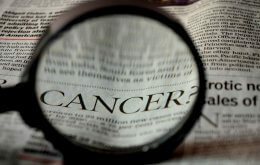 For example, the data could be sent to cell phones or displayed in other ways,” said Gough. “There are parents with diabetic children who spend their nights worrying that their child in a nearby bedroom may go into nocturnal hypoglycemia,” said Gough, who explained that the glucose sensors could be used to send information to a phone that would alert parents if the child’s glucose levels drop to a dangerous level during the night. “Four finger sticks per day to measure glucose levels is the current standard of care, but blood glucose can go on significant excursions between sticks,” said Gough. In contrast, the long-term implanted glucose monitor would provide continuous monitoring day and night. “We are moving toward something that will be automatic and quite unobtrusive. Others wouldn’t even know if someone is using a glucose sensor. Our goal is to get people off the finger stick cycle,” said Gough. Today, there are approximately 800,000 people using external insulin pumps. Currently, these insulin pumps are open loop – meaning they are not connected to a glucose sensor directly, and they have to be programmed by a physician. “You can manually adjust the pump schedule to some extent, but patients must keep rigid schedules to live with an insulin pump,” said Gough. The bioengineers’ goal is to enable the pumps to automatically adjust the rate of insulin being administered based on glucose readings from the implanted sensors, that is, to function like an artificial pancreatic beta cell. “If insulin pumps were programmed based on near-real-time readings from implanted glucose sensors, the pumps would adjust insulin dosing based on what your glucose number is after a meal. You wouldn’t have to be so rigorous about your schedule,” said Gough. “With an insulin pump, there is always the concern that it will pump too much insulin, leading to dangerously low blood glucose levels. The sensor could serve as a safety mechanism against low blood glucose levels,” said Gough, who noted that major research efforts to use readings from glucose sensors to program insulin pumps are well underway. Researchers are primarily using needle-type glucose sensors, but these needle sensors could be replaced with the new implanted sensors if and when they are approved for human use. With key underpinnings afforded by Gough’s university research, the sensor was developed into its current form by colleagues at GlySens Incorporated, the San Diego company Gough co-founded with Joseph Lucisano, who holds a Ph.D. in bioengineering from UC San Diego. According to Gough, GlySens has received a number of peer-reviewed grants from the National Institutes of Health in support of the project, and receipt of these grants is strong testimony to the company’s solid scientific approach.